I don't know what Ryan Odom's vice of choice is, but I hope Tony Bennett bought him an extra large. 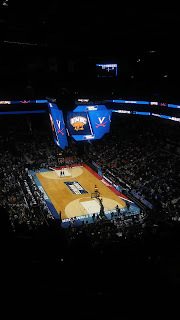 The Virginia Cavaliers men's basketball team entered the sports pantheon as the 2019 national champions. It was 388 days prior they made a different kind of history: Being the first 1 seed to fall to a 16 seed in the first round of the NCAA tournament. It's no stretch so say the two are related. Bennett and his team spent the entire season fielding questions about the UMBC loss. The four letters rang out as chants in rival arenas. And though UVA ultimately won the title. 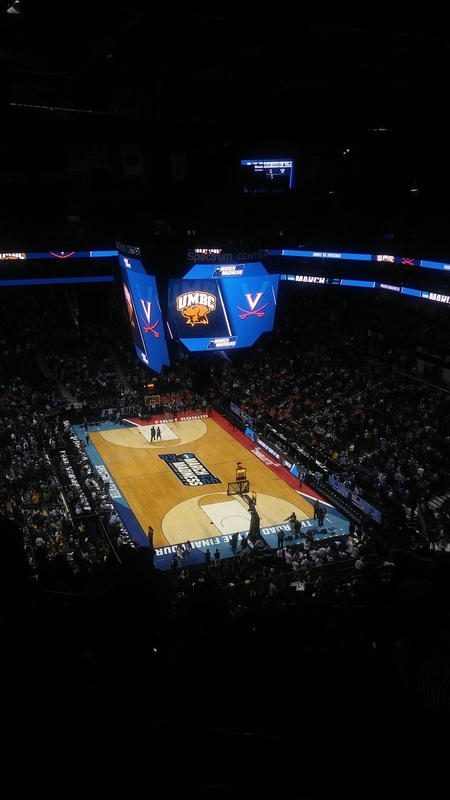 event trailing in the first round against Gardner-Webb elicited a touch of fear in the Wahoo faithful. A redemption story needs something from which to redeem, and last year's loss provided that spark. Few doubted Bennett's coaching acumen, but the fact that he had yet to make a Final Four was a glaring omission on his resume. After the loss, there were louder-than-whispers that for all of his talent, he was prone to underachieving. It's well documented that Tony Bennett is a Rocky fan, and it wouldn't suprise me if he saw shades of the pugilist's path in his own squad. Some may think I'm hitching UMBC to UVA's coattails. Quite the opposite - I'm simply taking credit for the assist. When the inevitable 30 for 30 or documentary comes out, just be sure it starts on March 16, 2018. During Week 1 of the college football season, the pro stadiums in Denver, New Orleans, Charlotte, Jacksonville, Indianapolis, and Arlington will be hosting games. In Houston, they'll be hosting bands. The announcement got the bandosphere humming for what should be a great show. For those keeping conference score, the bill includes three from the SWAC, two from the MEAC, one from the SIAC, and two that Honda would deem "independent" - Talladega from the NAIA, and Tennessee State, from the Ohio Valley, a non-HBCU conference. Personally, I'm still a bit salty that the show relocated from my relative backyard to halfway across the country, butI suppose those in SWAC country can have a little fun too. The organizers reportedly left Charlotte for greener pastures in what Houston had to offer. Indeed, they turned the band announcement into a media event featuring no less than the mayor. And while word is that they would have had access to Bank of America Stadium - the pro field that had previously eluded them - moving into NRG Stadium in Houston was the target from the get-go. Objectively, I can also acknowledge that having this take place farther west gives it some distance from the 240 mile stretch of I-85 that will also host Honda once again in early 2020.